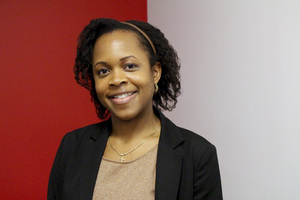 Dr. Ugochi Acholonu Jones is a Postdoctoral Research Fellow for the Connected Learning Research Network (CLRN) at DePaul University. She is particularly interested in promoting digital equality through innovative educational interventions. In her efforts to pursue digital equality, she searches for ways to support students’ abilities to adapt, manipulate, and repurpose technology to support their own problem-solving and learning goals. Ugochi is also interested in the design of learning environments, pedagogy, and assessments that further support students’ development of technical expertise. Ugochi holds a B.A. in Electrical Engineering, a M.A. in Computer Science with a specialization in Human Computer Interaction, and a Ph.D in Learning Sciences and Technology Design from Stanford University.